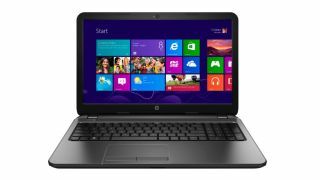 If you fancy an affordable computer, this offer from HP and Ebuyer will net you a laptop for as little as £98.98. That buys you a fully featured and pretty decent laptop. There's a couple of caveats. The laptop, a HP 255 G3, runs on Ubuntu rather than Windows 8.1 (which you can upgrade for free to Windows 10). It might be useful as a secondary computer to help you learn an alternative operating system (or you can use it as a cool media server), but you won't be able to run Microsoft Office on it. The second, bigger caveat is that you need to trade in an old computer. HP's trade in page says that the PC you are trading in must be: "A working, complete and undamaged, (reasonable wear and tear accepted) Laptop (minimum 10" screen size), Tablet (minimum 9" screen size) or Desktop. "Your trade-in must be no more than six years old (age limitations are not applicable to genuine Microsoft XP computers) and complete with all accessories including working battery and power supply where applicable." If you don't have one handy, you can buy an old working Windows XP PC from eBay for less than £30. Find more details on HP's official website. We reviewed the HP 255 G3 with Windows 8.1 and found it to be a "trustworthy and sturdy laptop". The model on sale at Ebuyer (L8B54ES) comes with a quad-core AMD APU, the A4-5000, with 4GB of RAM, a 1TB hard disk drive and a full size keyboard.